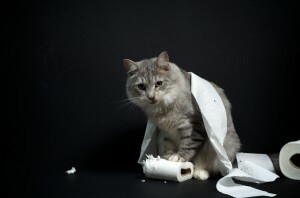 Wild Cats Use Toilet Paper – LOL! A must see video – click the url under the photo for some great fun! Posted on July 2, 2014 July 2, 2014 Categories UncategorizedTags cat behavior, cat fun, cat trivia, wild catsLeave a comment on Wild Cats Use Toilet Paper – LOL! Where’s Waldo – I mean…Mystic! 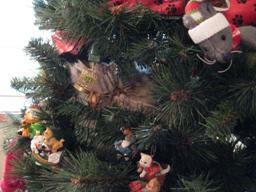 There’s a little kitty cat hidden within this Christmas tree. Can you find her? Posted on December 9, 2012 December 9, 2012 Categories UncategorizedTags cat fun, cat photo, cat triviaLeave a comment on Where’s Waldo – I mean…Mystic! Catdance Film Festival – Cat Lovers Unite! (5) They make awesome subject matter for funny pictures and videos. (I Can Has Cheezburger, Stuff on My Cat, etc. etc etc!!!). 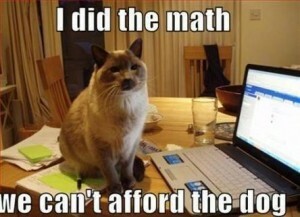 Now, cats have really made it! They now boast their own film festival! If you are lucky enough to have your cat short win one of five top awards, well, click here to find out more…. Posted on November 4, 2012 November 4, 2012 Categories UncategorizedTags cat fun, cat humor, cat pictures, cat stories, cat trivia, cat videosLeave a comment on Catdance Film Festival – Cat Lovers Unite! Mom and Dad play with me a lot. I’m crashing from non-stop play with my Da Bird Toy! My daughter loves her new “Cali”. As smart and fast as a whip, and after a long playtime, Cali received a visit from the sand man. The first ever Internet Cat Video Film Festival will debut on August 30, 2012 at the site of the renowned Walker Art Center in Minneapolis. Walker Art Center is famous for its contemporary art exhibits. Kate Czarniecki-Hill, the festival organizer and self professed cat person, says that cat videos are mostly viewed alone. The festival represents the first step in legitimizing cat videos as an art form. The entire Internet Cat Video Festival will only last one hour, since most cat video last less than a minute and that will give the audience plenty of time for feline fun.